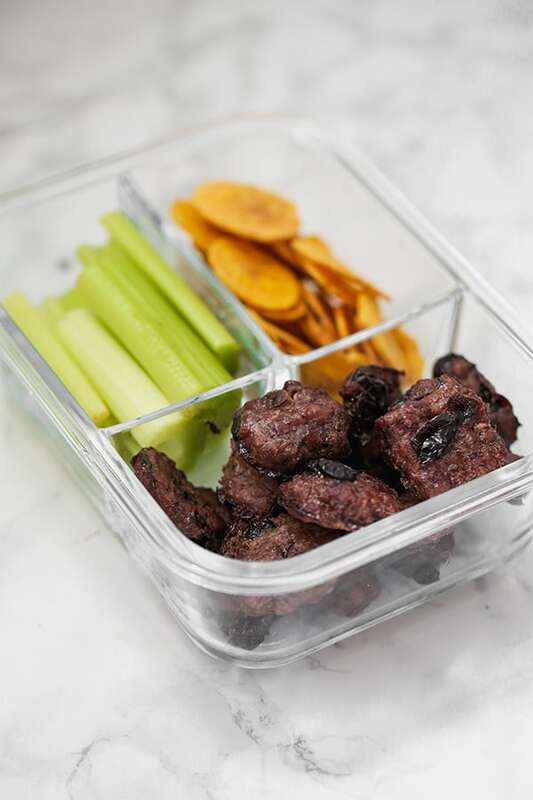 These 10 paleo lunches are perfect for packing on the go! They’re perfect to take to work, school, or just store in your fridge for a quick option. These lunches are all grain free, gluten free, and have whole30 and AIP options. 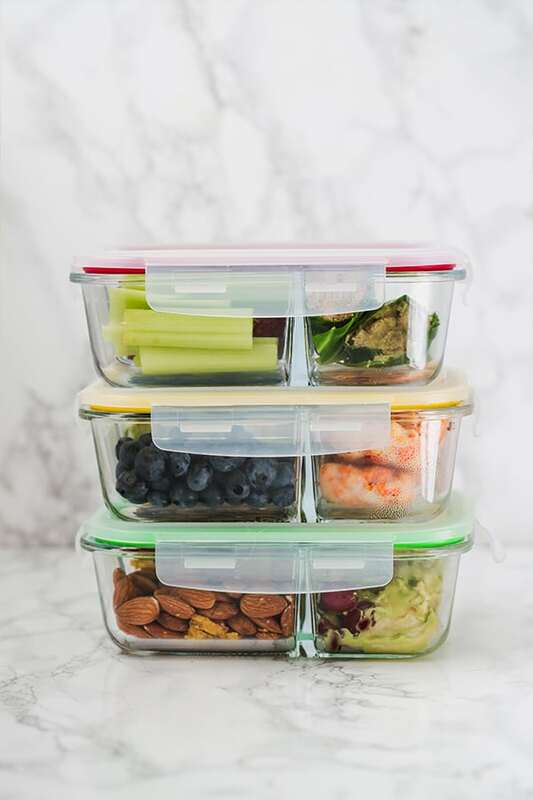 I love the feeling of waking up on a Monday morning and already having lunches packed and ready to go for me and my husband. On the flip side, the feeling of not having those lunches prepped and ready is always an instant stressor first thing in the morning. 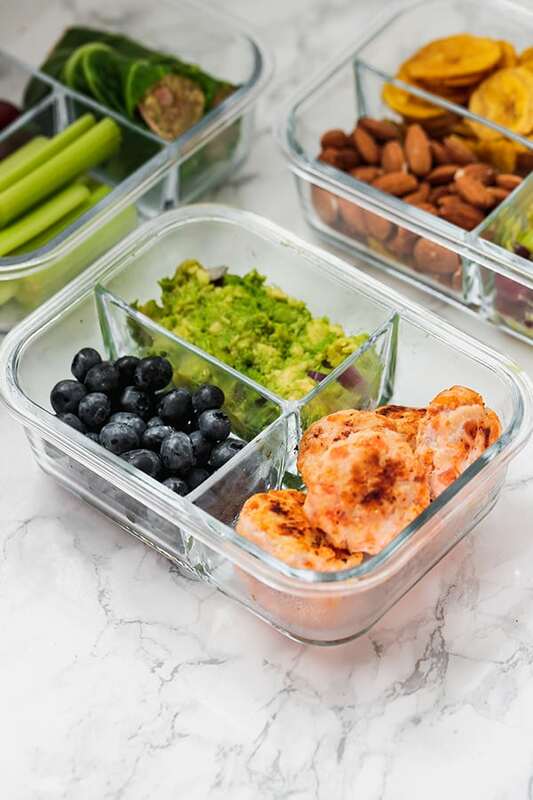 Preparing ahead of time is always an amazing way to say on track with a healthy lifestyle, keep your stress levels down, and keep you staying nourished throughout the day! When I first started going gluten free, then grain free, and eventually paleo and AIP, I really struggled with what to bring along to lunch. What are you supposed to bring if not a sandwich and pretzels with hummus, right? I was completely stumped and found myself under packing and going hungry quite often. 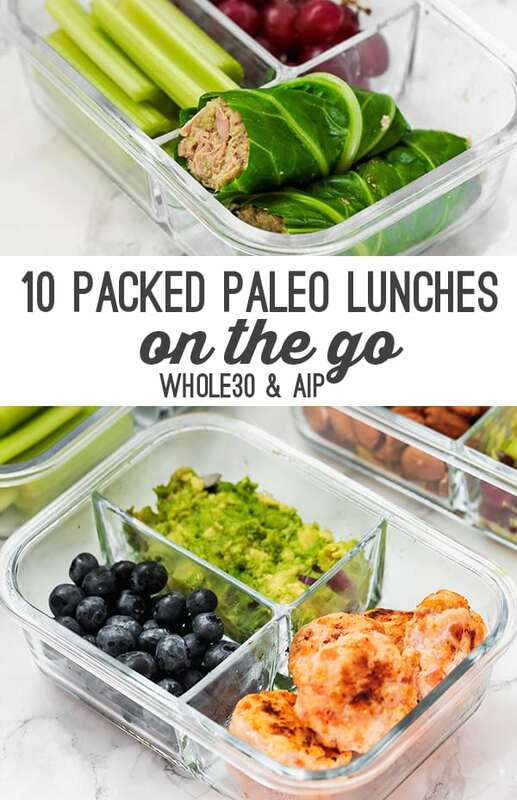 Because I know what it’s like to struggle with healthy lunch ideas, I decided to create this list of 10 packable paleo lunches to bring to work, school, or even on the road in a cooler! First, what do you pack your lunch in? What can you use to reheat it? 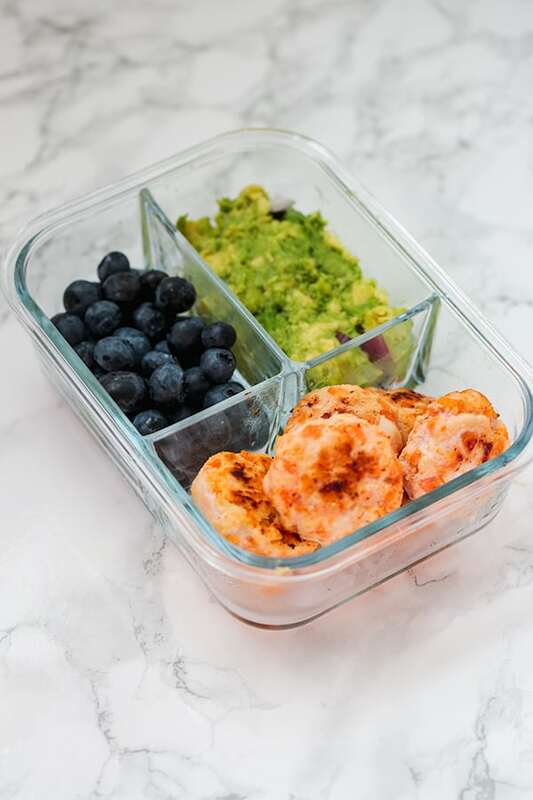 This packable lunch is made with one of my most popular recipes, sweet potato chicken poppers! They’re perfect for packed lunches for both kids and adults. Pack it with some berries or veggies on the side, and a dip like guacamole. Add some extra lime juice to the guac to keep it from browning. 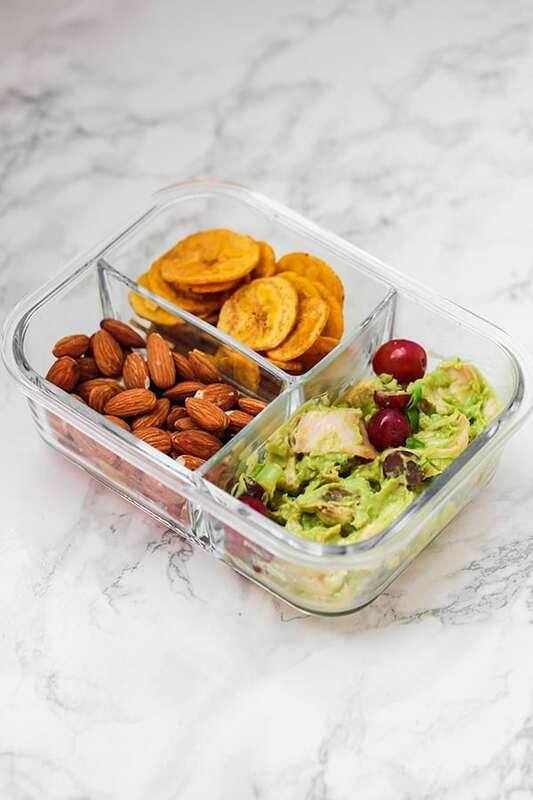 This lunch is more of a snack box style that’s perfect for taking on the go! It’s made with my cranberry beef jerky bites, celery, and plantain chips. To make it whole30, swap the chips for something like fresh fruit, or avocado. This avocado chicken salad is one of my most popular recipes for packing for lunch! It’s full of healthy fats, protein, and veggies. Pack it with plantain chips, and almonds. To make it AIP, switch out the almonds for fruit. To make it AIP, switch out the plantain chips for fruit. This tuna salad wrap with a collard green leaf and avocado is a great grain-free alternative to a sandwich! Using a large stock pot, fill it about two-thirds of the way full and bring it to a simmer. Wash the collard leaf with cold water and then use tongs to dip it into the simmering water for 10 seconds. This will allow it to soften and make it easier to fold. Pat the leaf dry and use either scissors or a knife to shave down the large stem. Set aside. Mash the tuna together with the avocado, lime, garlic, salt, and green onion. Spoon the tuna mixture in the center of the collard wrap and roll it closed. Slice down the center, as well as any excess on the sides. 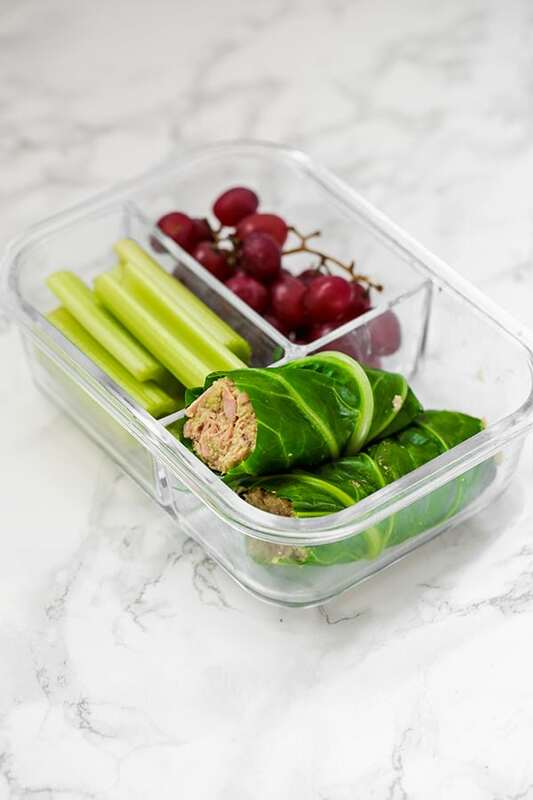 Place in a Tupperware with other fruits and veggies, or eat by itself. 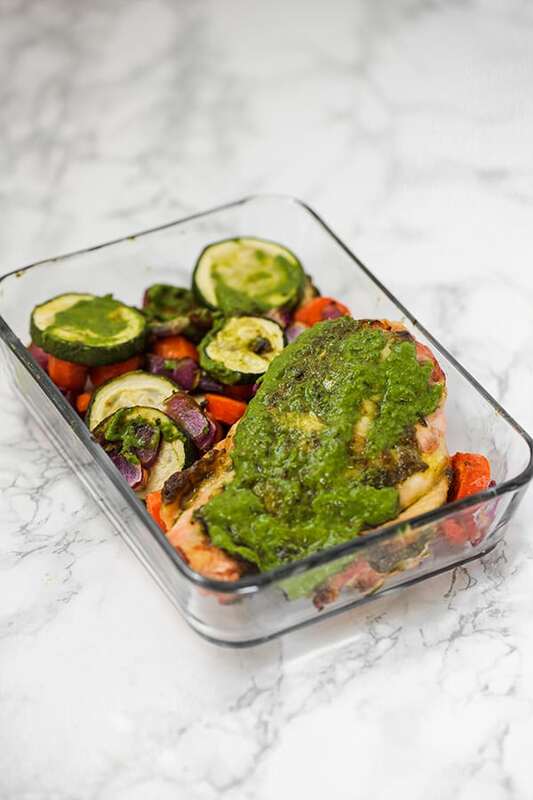 This one-pan chicken pesto with veggies is the perfect dish for meal prep! I easily get 3-4 meals out of making this one sheet pan meal. It’s paleo, AIP, and whole30 compliant. This would be great to reheat with a hot logic oven or desk crockpot. 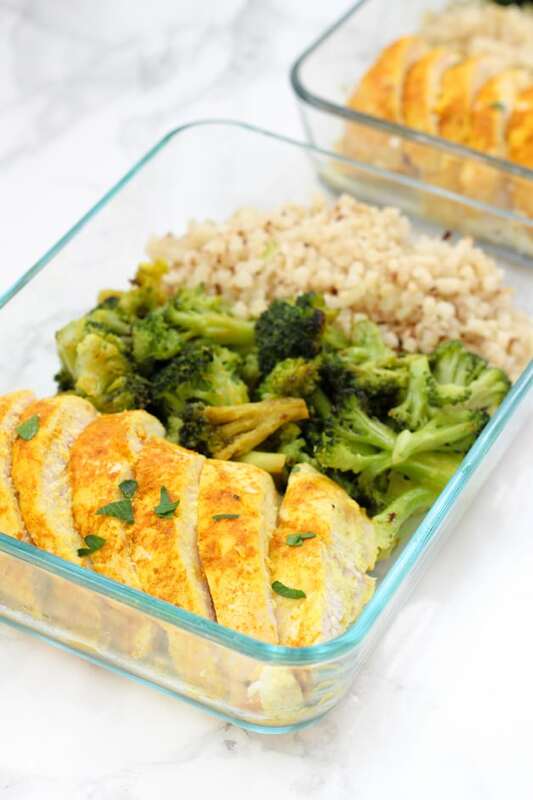 This turmeric chicken meal prep makes several meals at once, and it’s packed with anti-inflammatory, healing foods. This would be great stored in a cooler or work fridge and reheated with a hot logic oven or desk crockpot. 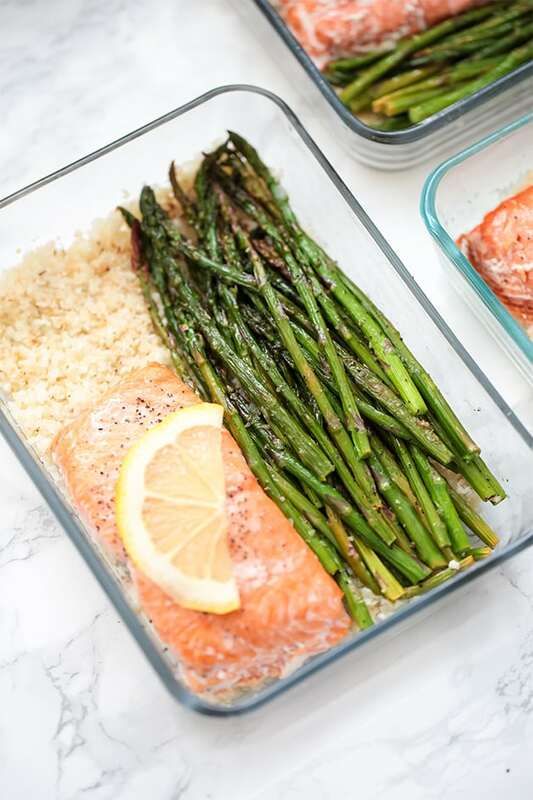 This paleo salmon meal prep with asparagus and cauliflower rice is a healthy and delicious lunch! This would be great stored in a cooler or work fridge and reheated with a hot logic oven. 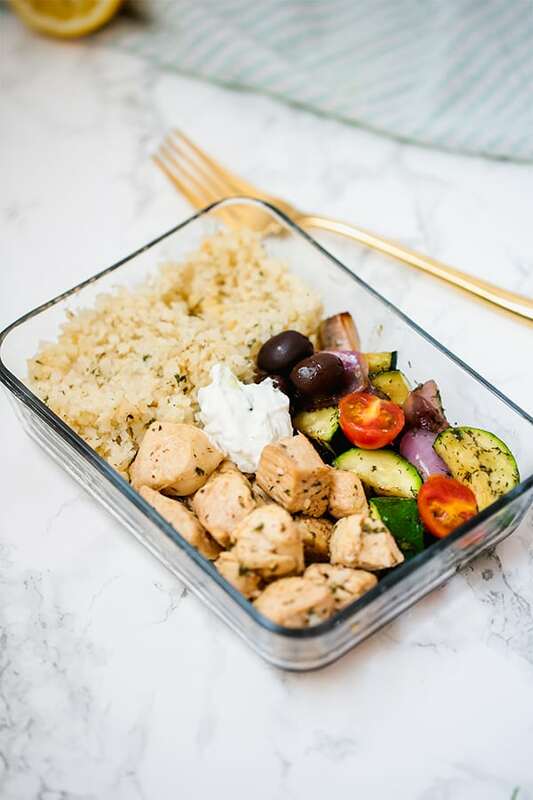 This Greek chicken meal prep is a great option to get tons of veggies, and protein. It’s made with a dairy free tzatiki and can be modified for AIP. 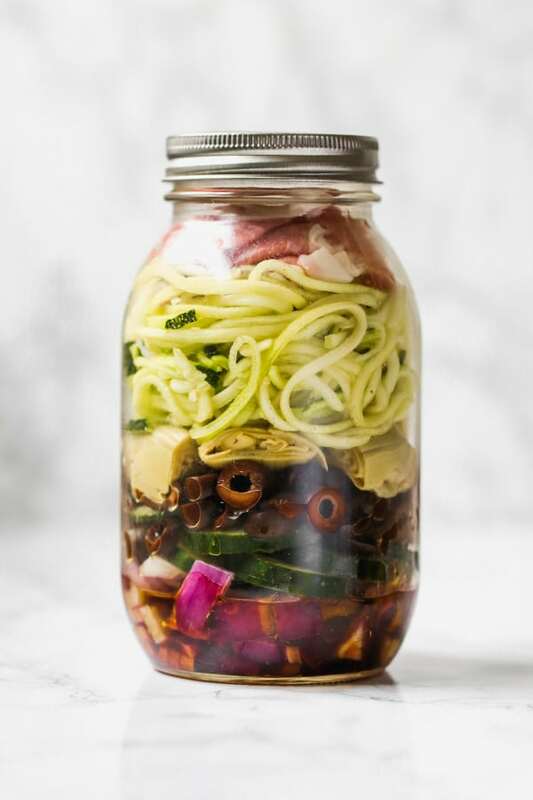 This Italian Mason Jar Salad is a fun twist on the traditional work salad. Find the recipe here along with 4 other mason jar salad ideas! 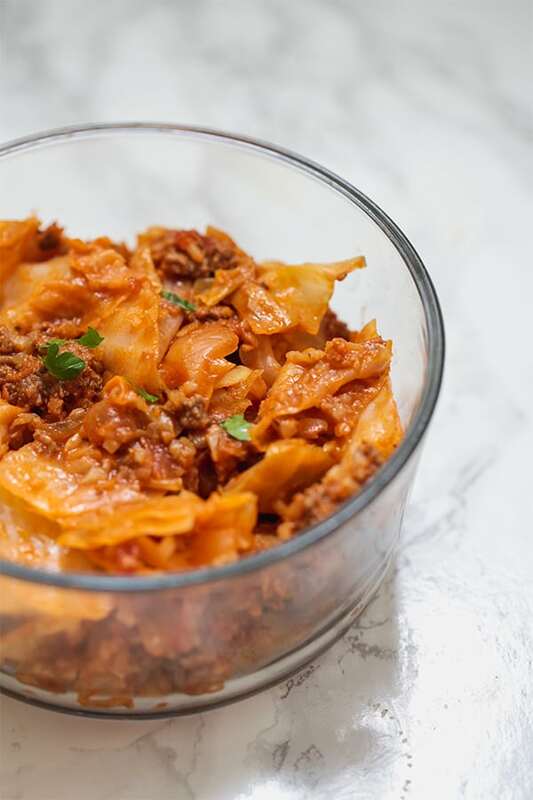 This unstuffed cabbage roll is an easy one pot meal that reheats very well. It’s packed with veggies and protein and is great for heating up in a desk crockpot. It’s paleo, Whole30, and AIP. I hope you love these fun packed lunch ideas! What’s your favorite thing to bring for lunch? I’m just starting my journey with AIP and I’m so happy that I found your site. This is so helpful, I’m so excited to try all these recipes. Thank you so much for sharing with all of us!! I was recently diagnosed with hashimoto’s after months of suffering (weight gain, acne, greasy hair, infertility…). I get totally confused and overwhelmed when I look at AIP, but your recipes and blog are a total god send. Thank you! Thank you so, so much Jennifer! Sending love!! First time I am ever commenting on a blog. I LOVE your ideas. Will try lots! Thanks. Thank you so, so much Robyn!! I am new to this whole AIP thing and this is so helpful–thank you so much!!! So glad its helpful! Thanks, Gia!